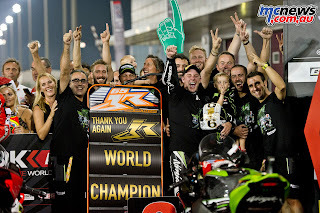 The final race of the 2017 season at the Acerbis Qatar Round on Saturday night brought another win for Jonathan Rea (Kawasaki Racing Team) as he crossed the line just under two seconds ahead of Chaz Davies (Aruba.it Racing - Ducati), with Alex Lowes (Pata Yamaha Official WorldSBK Team) in third. 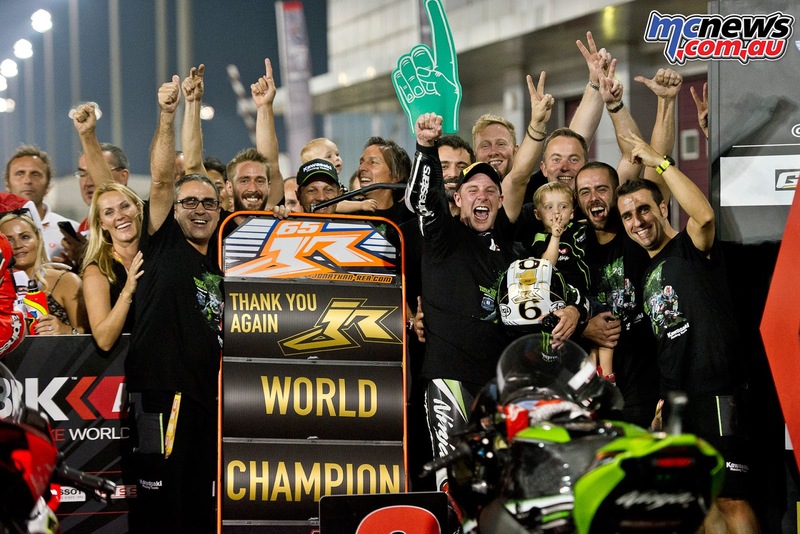 The victory gives Rea the record of most points in a single WorldSBK season (556 points), beating the previous record set by Colin Edwards in 2002, as the Northern Irishman ends the year with 16 victories and 24 podiums in 2017. Davies made an incredible start as he shot from eighth on the grid to first within the first two corners, but Rea soon took control of the race on lap four and he did not look back from there.